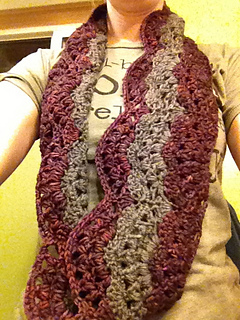 At 60 inches long, this infinity scarf provides lots of styling options. 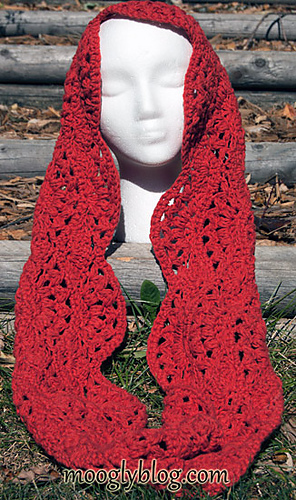 Wear it long and drapey like a scarf, wrapped double around the neck as a cowl for warmth, or pull a loop up over your head for that sudden chill. 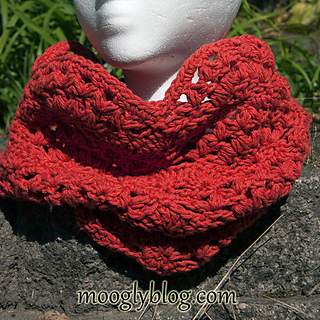 Make one for yourself now, and then make more for gifts this winter! Updated 11/7/12 with a video tutorial for the Cluster Stitches!